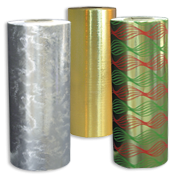 Shop our selection of giftwrap paper rolls and choose the best designs for your customers! Discover tons of patterns, matte or glossy, in many colors such as silver, brown, green, red & others. You'll find bows & paper cutter, all available at affordable prices thanks to our wholesale discounts!